What's the most expensive residential rental on the market in Fayetteville? This just in: the priciest listing in today's Fayetteville rental market is going for $2,500/month. What glamorous features might one find at these ginormous price points? Starting things off with a statement, feast your eyes on this single-family home located at 908 Calamint Lane. It has four bedrooms and three bathrooms, and it sprawls to 3,937 square feet. Whereas the average price for a four-bedroom rental in Fayetteville is roughly $1,300/month, this spot is currently listed at $2,500/month. What makes it so costly? The house, which is located in a quiet cul-de-sac, offers hardwood flooring, a kitchen island, stainless steel appliances, multiple fireplaces, a butler's pantry and surround-sound speakers throughout. Outdoors, you'll find a two-car garage, a landscaped front and back yard and a covered deck. It's also pet-friendly: both cats and dogs are allowed in this sumptuous house. According to Walk Score's assessment, the surrounding area isn't very walkable and has minimal bike infrastructure. Then, here's this single-family home situated at 3804 Doon Valley Drive. It has four bedrooms and three bathrooms. This spot is currently going for $2,290/month. What makes it so steep? Inside the home, you can anticipate carpeted flooring, a dishwasher, stainless steel appliances, a fireplace, a sunroom and a formal dining room. The house sits in a gated neighborhood and offers a backyard and a porch. Both cats and dogs are welcome in this palatial home, with additional pet rent each month. Walk Score indicates that the area around this address isn't very walkable and is somewhat bikeable. 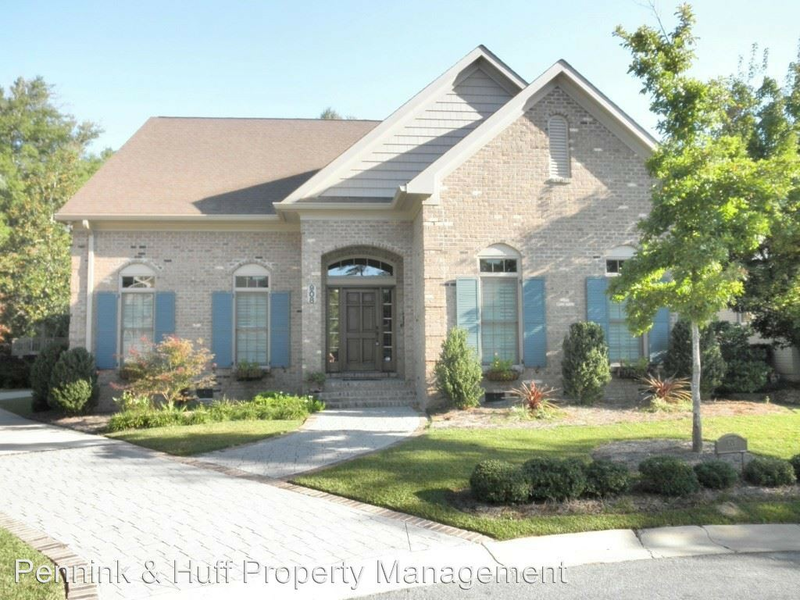 And lastly, here's this single-family home located at 5927 Crown Ridge Court. It has three bedrooms and two bathrooms, and it takes up 2,158 square feet. This gracious living space is currently listed at $1,500/month. In the house, you can expect hardwood flooring, granite countertops, stainless steel appliances, a fireplace, a breakfast bar and high ceilings. It also boasts a three-car garage and patio space. Pets are permitted on a case-by-case basis, with the landlord's approval.